The twitter world has been abuzz, ever since costume designer Michael Wilkinson tweeted this cryptic message over the weekend. 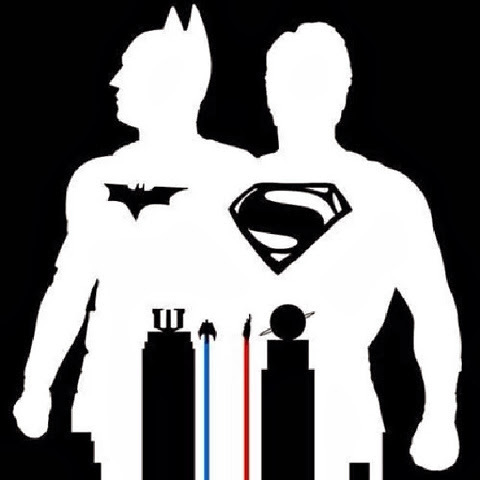 Many read it as a teaser for a rumored imminent release of new costume photos for Batman vs. Superman. But last night Wilkinson clarified what he really meant, joking with us about the misunderstanding. @misterwilkinson - you all KNOW I can't reveal any production secrets!!! - the photo shoot I was referring to was my new headshot shoot....! @HenryCavillNews I think they're the most highly anticipated headshots in the history of cinema ...LOL!!!! 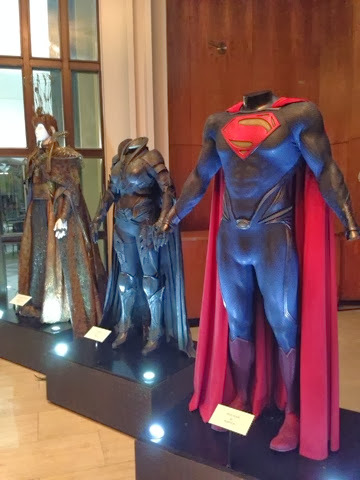 If the rumors are true, we should be seeing a preview of the new Batsuit and Wonder Woman suit, along with the tweaked Man of Steel suit BEFORE the start of filming in April. Wilkinson confirmed to us he'll be in Detroit through December. While he may not have teased the costume reveal on twitter, did he almost reveal the news to us during our interview? -- that's what a commenter on YouTube seems to think. at 1:55 He was going to say "...before we start shooting", but then changed his mind mid sentence. I guess they're not allowed to say when the photos are being released. But yeah, they're probably going to release them in a month or so. Can't wait! Sooooo.. what's the verdict?? We think he's right! -- consider us on #CostumeRevealWatch. We promised we'd bring you more from Wilkinson's conversation with Bobi Garland last week at LACMA, and here it is. In this clip the Batman vs. Superman designer answers some fan-submitted questions. There is a great moment at about 1:17 when he talks about the "learning curve" for designing superhero costumes. 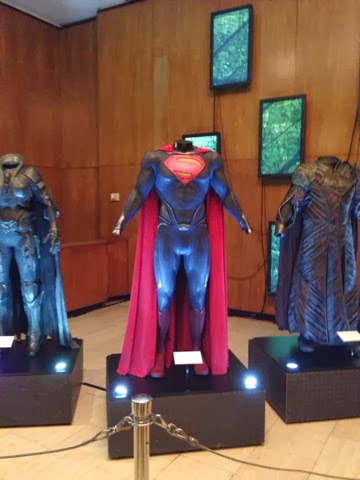 Another highlight was when the designer talked about creating a "muscle suit" to use as a base for the Man of Steel costume. Wilkinson said it's not exactly a fun process for the actor, because they basically had to ask Henry to "take off all his clothes" so they could get a full body digital scan. 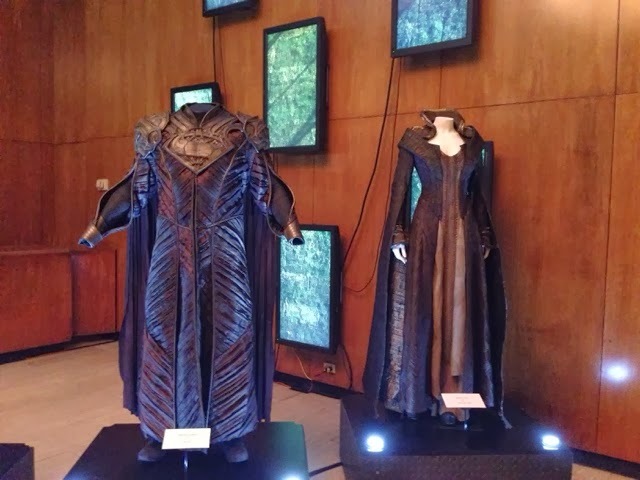 You can read a lot more on what Wilkinson discussed about the Man of Steel suit over at Tyranny of Style. If you are in LA, you can see his costumes up close and for free through April 26 at the FIDM. That "muscle suit" technology is AMAZING! I can't believe we have that technology now for designers. Mr. Wilkinson was very nice to provide a quick interview. He is truly a talented artist! Can't wait to see the new costumes!